TOKYO (Reuters) – The dollar held firm against a basket of its key rivals on Monday, not far off a 10-week peak hit after data showed U.S. economic growth slowed less than expected and as global risk sentiment remained fragile. 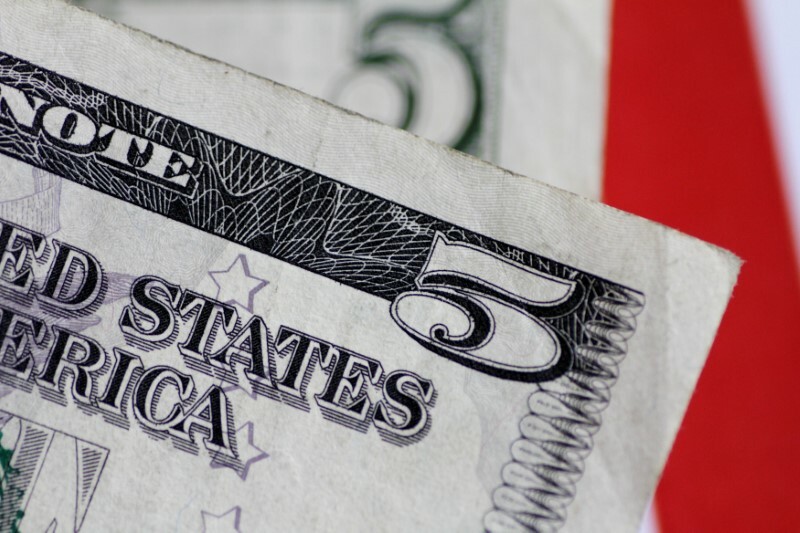 The U.S. currency has found support recently on safe-haven buying as investor demand for riskier assets waned on steep declines in world equity markets on concerns over corporate earnings, geopolitical uncertainty and global growth. “The development in the U.S. equity market is the main focus in the foreign exchange market,” said Masafumi Yamamoto, chief currency strategist at Mizuho Securities. On Monday, the (), which measures the greenback’s performance against a basket of six major currencies, edged 0.15 percent higher to 96.499. The index has gained 1.4 percent this month. On Friday, it rose as high as 96.860, its best level since Aug. 15, after data showed the U.S. economy slowed less than expected in the third quarter, before turning down to end 0.3 percent lower on the day. Trade tensions between the United States and China, and a steady pace of rate increases by the Federal Reserve, have boosted the dollar, which serves as a safe haven in times of turmoil and economic stress. A relatively strong U.S. economy has also underpinned the dollar, although some weak corporate earnings have started to stoke doubts about the growth outlook especially in an environment of rising borrowing costs. The euro () dipped 0.1 percent to $1.1390 even as German Chancellor Angela Merkel’s junior coalition partners gave her conservatives until next year to deliver more policy results. The euro has lost 1.8 percent this month on concerns over Italy’s free-spending budget that would breach European Union fiscal rules. Markets have been jittery and yields on Italy’s bonds have spiked since September as the EU disapproved of Rome’s budget plans. Against the yen , the dollar held steady at 111.92 yen. The dollar has weakened 2.3 percent against the yen, which also acts as a safe haven in times of geopolitical turmoil, from a more than 11-month high of 114.55 yen reached on Oct. 4. “If there is another selloff in U.S. equities following the corporate results, I think there will be further downward pressure on dollar/yen,” said Mizuho’s Yamamoto. Far-right lawmaker Jair Bolsonaro won Brazil’s presidential election on Sunday, riding a wave of frustration over corruption and crime that brought a dramatic swing to the right in the world’s fourth-largest democracy. As of 0130 GMT, the real had not yet traded. It had ended Friday’s session at 3.6426 per dollar. Yamamoto expected traders to cash in on long positions in Brazil’s real that were largely taken up in the weeks ahead of Sunday’s poll. “It seems that markets are expecting that under a Bolsonaro administration, the pension reform and fiscal deficit reduction may advance,” Yamamoto said.